The largest rooms in the city, and a prime location by Austria’s major cultural landmarks make the Park Hyatt Vienna a hotel of choice for the world’s well travelled. If old-world designs leave you cold, the Park Hyatt Vienna’s interiors are the perfect antidote. The designs, are among the sleekest you’ll find in On Am Hoff, subtly blending contemporary accents with the historical elements of the former Bank of Austria HQ building the hotel once was. An exceptional spa, and a stone’s throw location from the St Stephen's Cathedral and the Hofburg Palace make this the ideal home away from home at the heart Vienna. Kindly note that the spa is under maintenance until the end of April 2019. The pool, fitness center and the treatments are not affected. 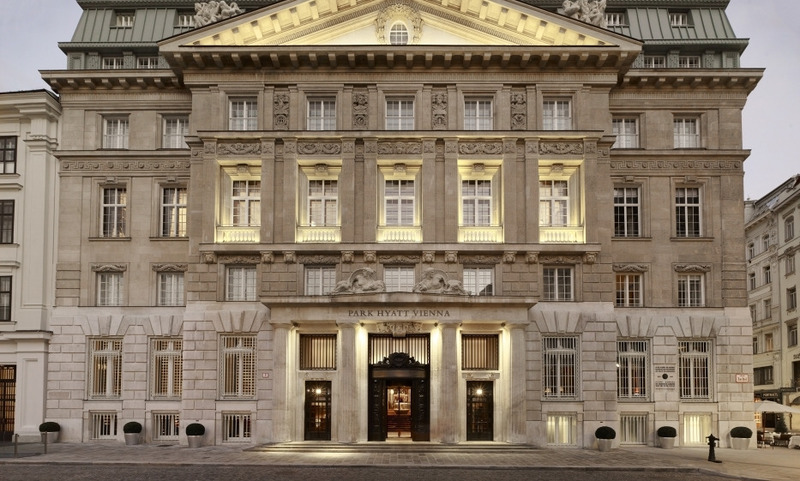 The hotel occupies a 100 years old listed bank building ! Park Hyatt Vienna exceeded all our expectations, from the moment of our arrival, to our departure. We received exceptional service in every department. The hotel has an amazing spa and fitness facilities too which we did really enjoy. Over all, one of the best hotel experiences we ever have had and will definitely return when visiting Vienna next time. Next time i'm in Vienna, I will book the Park Hyatt again. Very lovely property, with very friendly personnel from front desk to hospitality to room service to housemaids. Would definitely stay again. Appreciated low key approach without pretensions. Our &quot;American&quot; habits ( ice with Coke Zero!) were taken in stride the first time and never did we have to repeat the request. Helpful concierge for restaurants, touring, walking paths. Breakfast is a wonderful way to start the day. Excellent. Prestations de très haut niveau; courtoisie, envie de satisfaire les clients et efficacité sont les maîtres mots. The Park Hyatt Vienna is simply perfection, very clean, very beautiful, very friendly, very convenient....honestly a 10 out of 10. 100% one of the best hotels I have experienced. it blends old architecture with modern amenities better than most others I have seen. Exceptional, world class hotel with outstanding service. No detail is overlooked. A special call out to the General Manager and the Concierge team that really made the stay the best ever with memories that will last a very long time.